VoIP Telephone Lines are standardized SIP Trunks (Session Initiation Protocol) that connect your telephone system to the Cloud. The Cloud based SIP Trunks replace conventional telephone lines that typically are provided by a local telephone company or cable TV company. This enables you to run voice, video and data traffic over the same IP network connection, eliminating the need for separate lines or trunks for each mode. You get the most out of your Internet bandwidth! One Local Phone Number, Caller ID, Incoming Call Roll Over (Hunting), Automatic Fail-safe Forwarding on network, Internet or power failure, and when all lines busy. FAX machines can be used in limited use on this service. 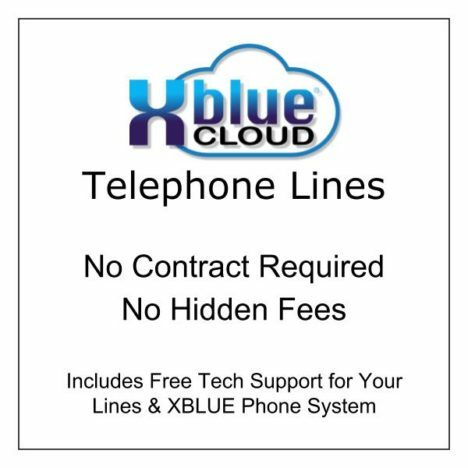 If FAX usage is high we suggest our XBLUE High Volume Fax Lines. 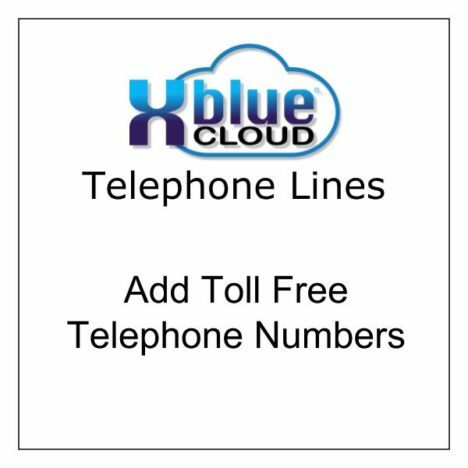 Additional Services: Existing Number Porting, Additional Local and Toll free Numbers, and High Traffic Calling. 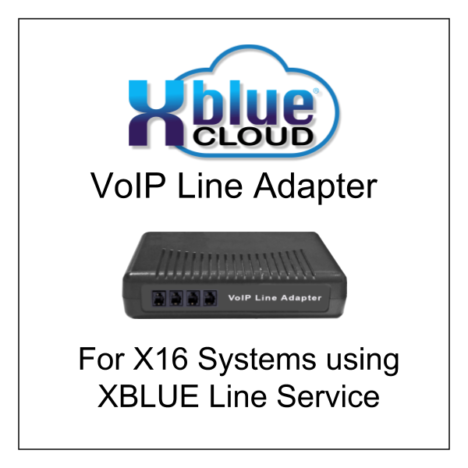 X16 Systems require additional hardware to be used with VoIP Line Service. 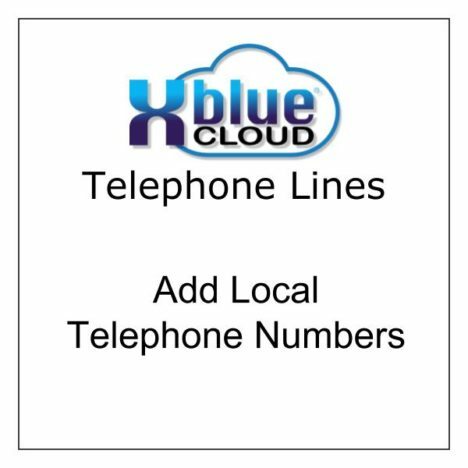 Up to 6 VoIP Lines may be used with an X16 system. Each VoIP line replaced one standard, analog phone company or cable company telephone line. 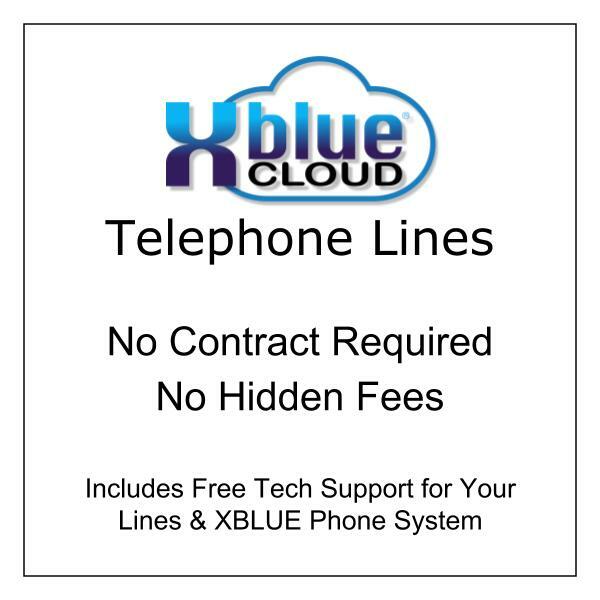 Contact us for more information about updating your X16 system for use with XBLUE Telephone Lines. Call 866-925-8312 or Send us a message. X25 Systems support up to 8 VoIP lines. No additional hardware is required. VoIP lines can be used at the same time as standard, analog phone company or cable company telephone line. X50 Systems support up 12 VoIP lines (8 without XL expansion software). No additional hardware is required. VoIP lines can be used at the same time as standard, analog phone company or cable company telephone line. QB1 System support up to 10 VoIP lines, No additional software or hardware is required. VoIP lines can be used at the same time as standard, analog phone company or cable company telephone line. Custom QB Systems capacity varies with support up to 100 VoIP lines. Contact us for more information about QB system’s use of with XBLUE Telephone Lines. Call 866-925-8312 or Send us a message.